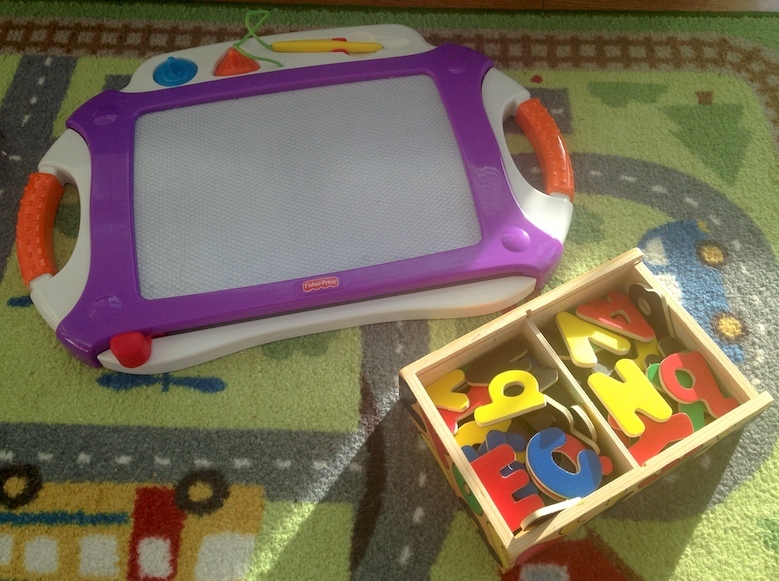 I've started working on teaching the alphabet to my almost preschoolers, and have been trying to find a letter activity that would grab their attention. 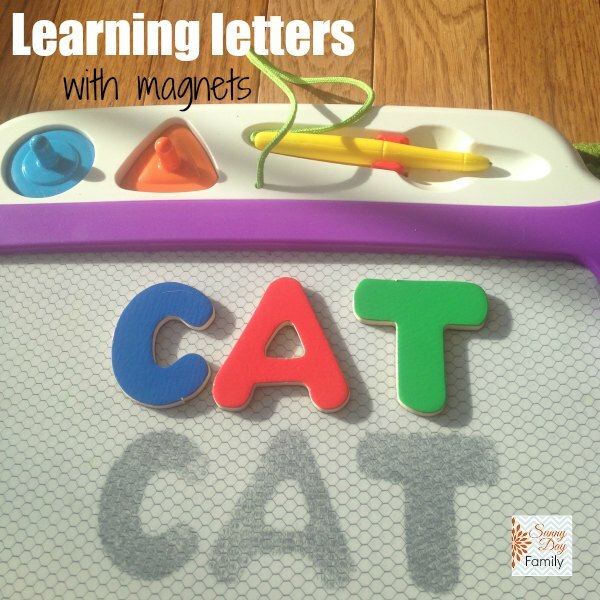 They love their magnet doodlers, so I picked up a set of letter magnets and thought we could put the two together for a fun alphabet learning activity. The set up for this could not be easier. 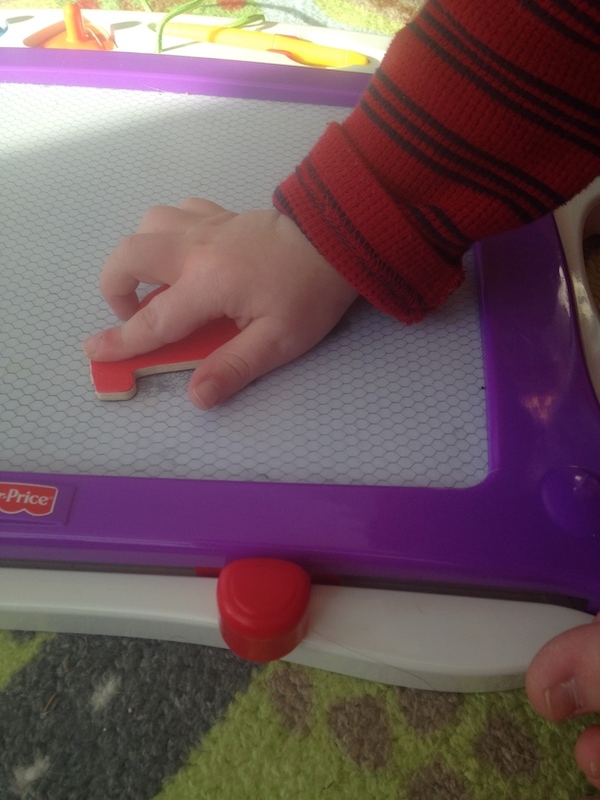 I put out the magnet doodlers and the box of magnets and invited the boys to play. 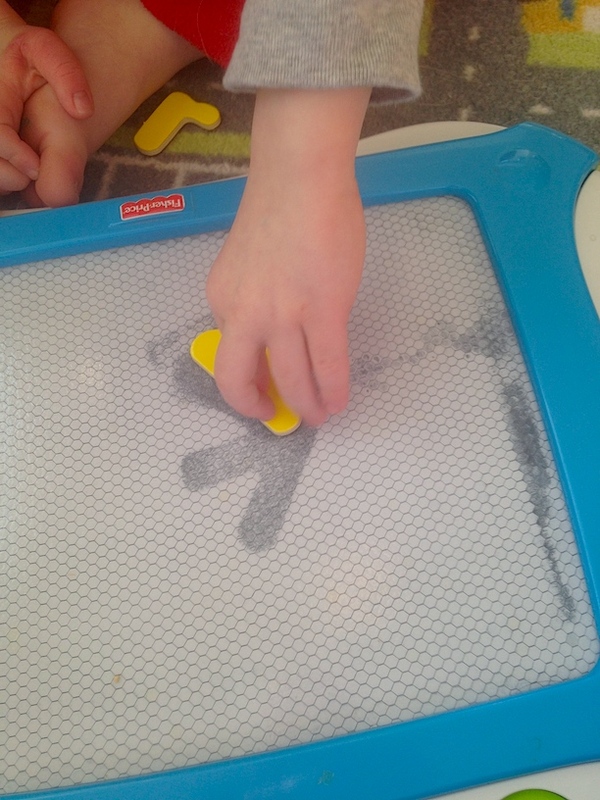 I let them explore and they quickly found that they could stamp the letter magnets onto the board and make letter shapes. As they stamped we talked about which letters we were making and what starts with those letters. I did a few and let them try to guess which letter it was. 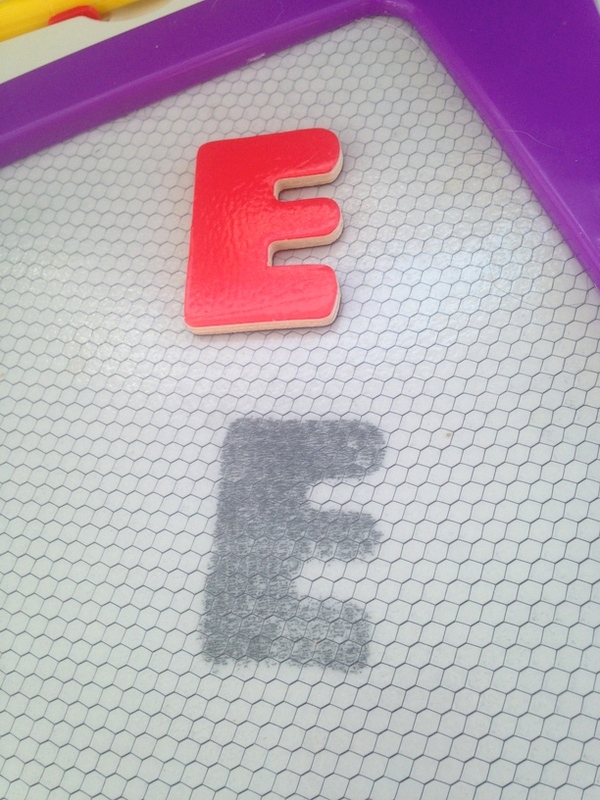 E is for elephant! We have been having a lot of fun with these and I think they are starting to get the hang of which letters are which. The magnet set that I bought also includes numbers, so we are going to try that next! Such a great idea! I miss my boys being this age. I shared with my friends who have little ones! great idea! 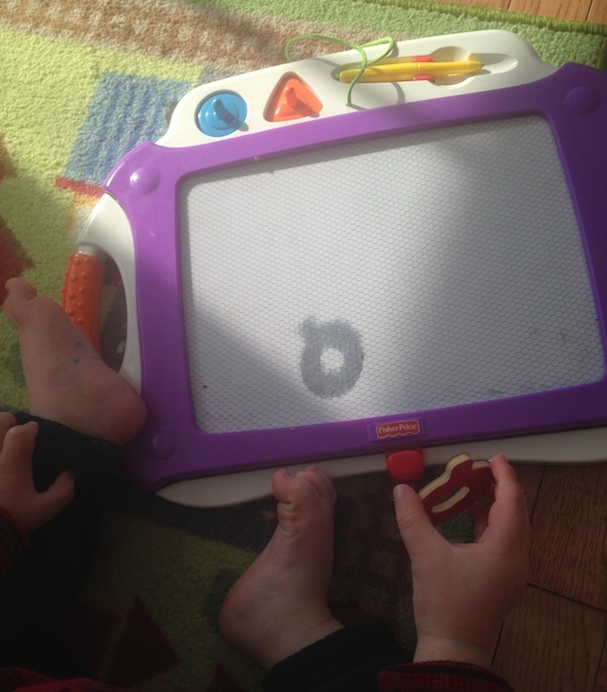 And neat that the magnet doodlers now have multi purpose use. Awesome! 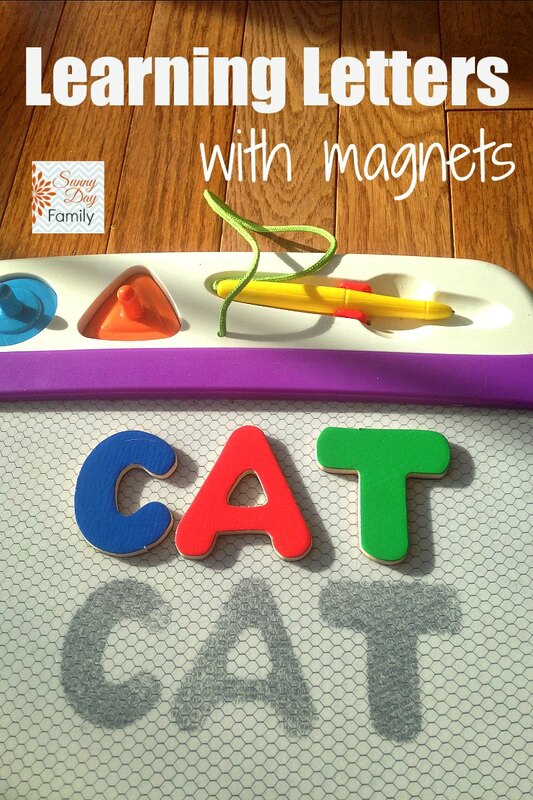 I'll have to get myself some magnet letters!